Still traumatised by her brush with a psychopath, Detective Cassie Maddox transfers out of the Murder squad and starts a relationship with fellow detective Sam O’Neill. When he calls her to the scene of his new case, she is shocked to find that the murdered girl is her double. What’s more, her ID shows she is Lexie Madison – the identity Cassie used, years ago, as an undercover detective. When several people whom I know and like and have similar taste in books to me start raving about a book, it is never long before I make it my mission to get my paws on a copy and that’s exactly what happened with The Likeness. Once I had my squeeky new copy at home, I thought I’d just have a flick through the first few pages and before I knew it I had read all 700 pages in 3 days. It is one of my favourite reads this year! The story is narrated by Cassie Maddox, a Detective in Dublin’s Domestic Violence Unit. She is called out to the scene of a crime in a derelict cottage in the countryside early one morning where a young lady has been stabbed to death. It doesn’t take Cassie long to work out why she, personally, has been summoned – the dead girl is the spitting image of herself. Not only that, but the girl is ID’d as one Lexie Maddison which is the invented name that Cassie had been given several years ago on an undercover job. The girl, by the looks of all the evidence that is presented to the team, has been living as Lexie Maddison for the last 3 years in Dublin and nobody knows where she came from or who she really is. Lexie had been living in an old manor house in the village where she was found for just 6 months with 4 of her student friends (one of whom had inherited the house from his deceased uncle). After considerable prersuasion Casssie agrees to become part of a plan to infiltrate the manor house and out the killer. By telling the 4 house-mates that Lexie didn’t die that night, Cassie then spends the next week preparing for her new role by watching videos of the 5 housemates together, learning all about Lexie’s life, mannerisms, and her friends and then she is ready to step into her new life……. I was on the edge of my seat wondering if Cassie could pull it off and if one of the housemates had anything to do with her death or whether it is someone from Lexie’s unknown past come back to find her, or even someone thinking that they had murdered the original Lexie (from Cassie’s undercover role). One thing is for sure though: the housemates are hiding something. I just loved this book, I found that I couldn’t and put it down, nor did I want to. Despite the size of the book, I never once felt like it was too long; on the contrary I could have gone on reading for several hundred more. I became like Cassie – so engrossed in Lexie’s life that I felt like I knew the housemates and was living there with them. 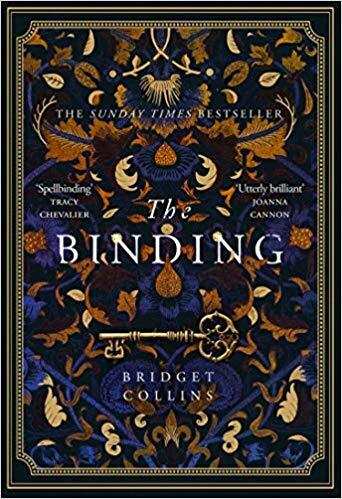 I love a god thriller, but this felt like more than that to me – it is a pyschoogical thriller and even had shades of The Secret History by Donna Tartt (which is one of my all-time favourite books) or Red Leaves by Paulina Simons (another great college thriller). The characters in this book are brilliantly drawn: Detective Frank Mackey (Cassie’s undercover boss) is perfect for his role (and I have heard that French’s next book Faithful Place will be narrated by him which I am excited about) as are the characters of the housemates (posh, lying around listening to classical music and reading 18th century poets for relaxation). This book has turned out to be one of my absolute favourites of the year so far and I intend to dive into In The Woods (the first book) and Faithful Place very soon. If Tana French grabs my attention in these books as much as she has done in The Likeness then she is on her way to becoming one of my favourite authors! Have you read it yet? Are you going to? OK…I have to admit. I just read the part where you said what you thought of the book because I really want to read this. 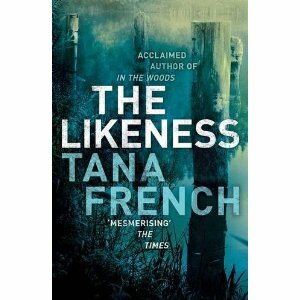 Tana French’s first book was really good so I wanted to continue reading about Cassie’s story in The Likeness. I’m so glad you liked it! This makes me want to go out and buy it, but I have to wait for my book ban to be over..hehe! Can’t wait to see what you think of Beatrice and Virgil as well. I love Yann Martel! Review of Beatrice & Virgil coming soon too – just finished it today and still mulling it over. Yay! I can’t wait to hear what you think, Sheila! I read this over Christmas/New Year while on holiday in Oz and I really enjoyed it. However, the storyline is pretty preposterous (spelling), don’t you think? I didn’t find one shred of it believable, but it was still a fun read once I convinced myself to suspend belief. I felt her first book was much more realistic. There is some suspending of disbelief, certainly, but I am more than prepared to do that for a great plot and a book that I am enjoying so much. I just loved it. I have to say that I wasn’t sold on Into The Woods at all, the idea was brilliant but for all the work the reader puts in the ending had me miffed off to say the least. So I havent really considered this one too much despite the fact I have heard so many glowing reviews. Maybe if I see it at the library on my next visit I might have a peak and see if it grabs me, as lots of people who’s opinions I trust have loved this. I have heard a few people mention the end of In Th Woods being a let down but I still can’t wait to read it. I am so glad I found your blog via Leeswammes Back of the Book Competition! I’m a mystery and thriller fan as well and I know I’ll enjoy your posts.